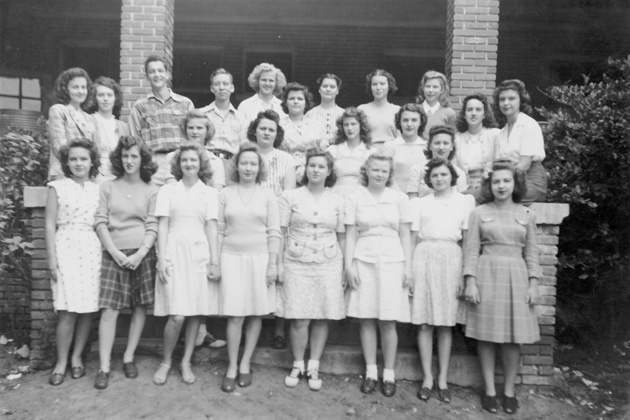 ﻿ Group of mostly women are posed in front of a building. Group of mostly women are posed in front of a building. Photograph 9713 from the University Archives Photograph Collection.